After a rather unsuccessful campaign at the Australian Open, where he lost in the fourth round to Stefanos Tsitsipas, one of the biggest questions on everyone's minds was whether Roger Federer would play the clay season this time around. In the post-match press conference, the 20-time Grand Slam champion did reveal that he has plans to play on clay this year. He skipped the entire clay season in 2017 and 2018 and has not played at the French Open since 2015. He had reached the quarters in 2015, where he lost to eventual winner Stan Wawrinka. His coach, Severin Luthi, has also confirmed his plans to play on the red dirt this time around. “There is too much speculation around him. He always chose not to pay too much attention about it, not even answering all these rumours," said Luthi in an interview to Le Matin. "He doesn't think about it daily and I do not think he decided something now so far. There are only some truths for now: the desire to play on clay; the certainty that he did not want to take a break between the hard and grass-court season; even if everything is different on clay, it can help for the future," he continued. Luthi also confirmed that Federer would play one tournament before playing the French Open. This means that he could play either the Monte-Carlo Masters, Madrid Masters, or Rome Masters, or even the Barcelona Open. “He will play one clay-court tournament on clay before the French Open," said Luthi. Federer's last match on clay was in 2016 at the Rome Masters where he lost to Dominic Thiem in the Round of 16. Prior to that, he lost to Jo-Wilfried Tsonga in the quarterfinals of the Monte Carlo Masters. 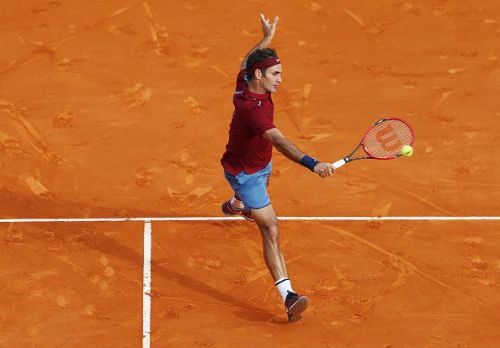 The Swiss Maestro has zero points to defend on clay this season and would hope to rack up a few points and getting back into the top 4 before heading into the grass season.